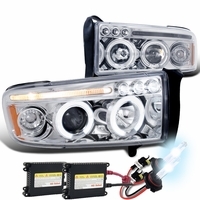 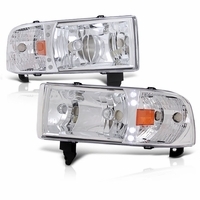 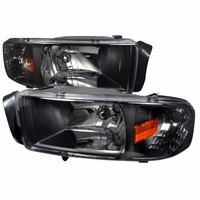 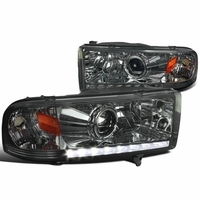 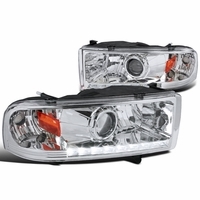 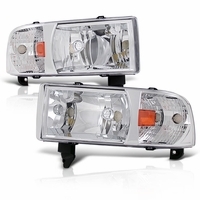 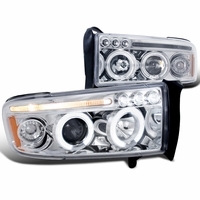 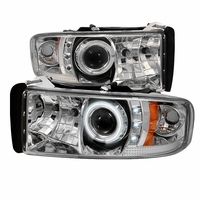 94-01 Dodge Ram Halo Projector Headlights are made to outperform the factory headlights. 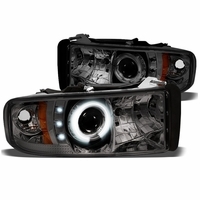 Our projector headlights line-up offer aggressive styling for your RAM. 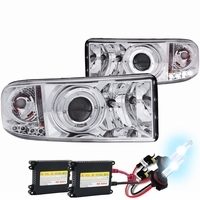 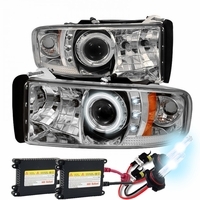 If you are looking to upgrade or replace your factory headlights to projector headlights, then you are at the right place. 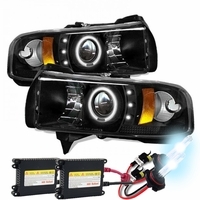 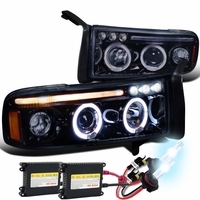 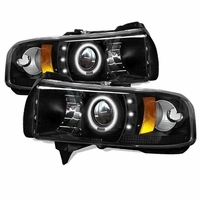 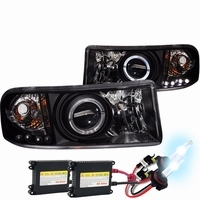 We offer affordable Halo (Angel Eyes) Projector headlights for unbelievable low price. 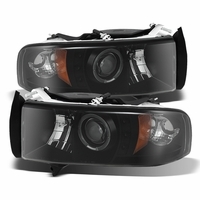 Our projector headlights exceed the factory headlights quality. 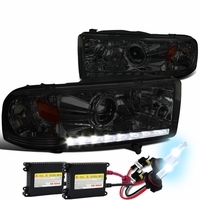 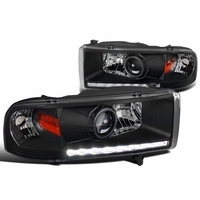 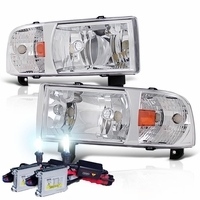 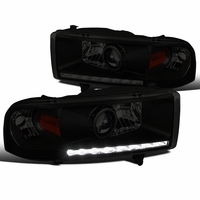 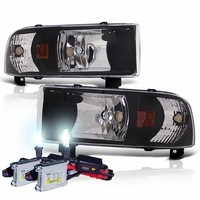 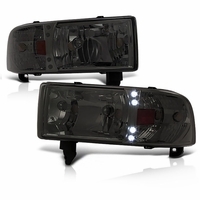 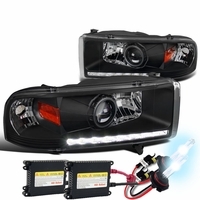 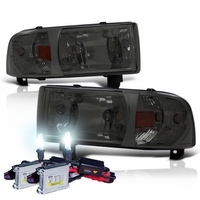 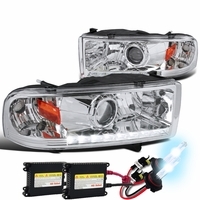 Direct replacement projector headlights that let you swap directly with your factory headlights. 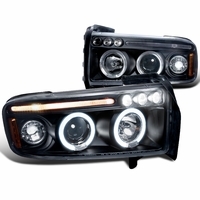 Sharing the limelight with its 1500 Series younger brother, Dodge's 3/4-ton hauler also gets a complete makeover in 1994 year model. 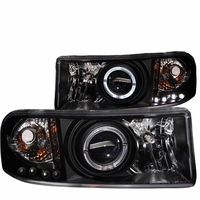 Dodge Ram pickup truck are sporting more muscular outline, and curved body line. 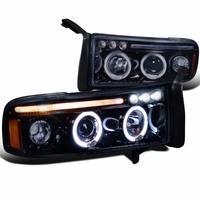 The Dodge Ram make over have attracted many people and aftermarket scene to customize it. 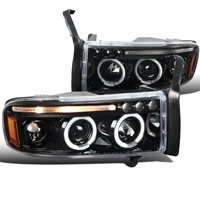 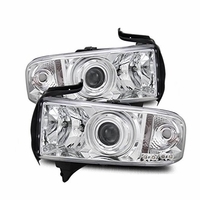 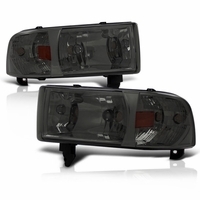 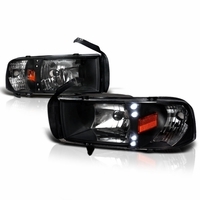 We offer aftermarket projector headlights for the 1994-2001 model Dodge Ram, which give the truck a more aggressive body style. 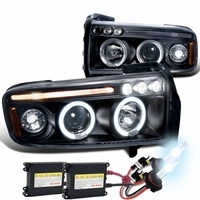 Replace the dull factory headlights and give your Dodge Ram a new appearance with optional HID pre-install projector headlights.